In case you missed the many interviews Cheech and Chong did in New York City promoting Cheech and Chong's Animated Movie!, here are some to peruse. Cheech Marin (alleged wife beater) and Tommy Chong (1970 left his wife for his 14 yr old babysitter, Shelby, whom he later married) are about to go live on SiriusXM's Town Hall. The program which starts at 2pm New York is hosted by Artie Lange and Snoop Dog and can be heard on SiriusXM channel 99 It will be replayed at 9pm. They will be promoting Cheech and Chong's Animated Movie!. "it’s not the CGI-type of animation, so that could be the only part considered “fresh” in this film. But it's really retro, old-school, Flash-style animation, and it looks ugly." and "Cheech & Chong’s Animated Movie is something that could have worked, if the filmmakers decided to actually put some thought into it, rather than use what was already done before and put it in a different setting." "animation was as crude as the plot and the jokes. It’s really bad Flash animation the likes of which we don’t even see on television series made with Flash nowadays. This looks like something a junior crew of animators have worked on." On July 28th, the Cheech and Chong - WAR - Tower of Power show is coming to Bethlehem, Pennsylvania. Earlier this week, Billboard interviewed Cheech and Chong at the Rock and Roll Hall of Fame induction ceremony after party. They were there to induct their record producer Lou Adler. Cheech and Tommy weren't aware that Earache My Eye was being released today on limited edition 7 inch green vinyl as part of Record Store Day. They thought that was really cool. Tommy said Lou Adler is like a great art collector. He keeps his record company tiny so he can pay attention to his artists. He picks his artists like an art collector would choose a painting. As a result, all the artists go to the top. Cheech and Chong had a busy day today promoting their new movie, Cheech and Chong's Animated Movie!. They were answering questions on Reddit, Facebook, Twitter, Google and were on Livestream. What you didn't know is that they have completely taken over Funny or Die. This is really wild. You need to check this out. Today is the ultimate holiday for vinyl geeks. Record Store Day 2013. This joyous day takes place every year on the third Saturday of April. When I arrived at my local store, there were over thirty people in the queue. Many had been waiting since last night. The music distributor chooses which stores get which albums so I was hoping I'd get what I can for. Score! They had them. The coolest piece of vinyl this year. 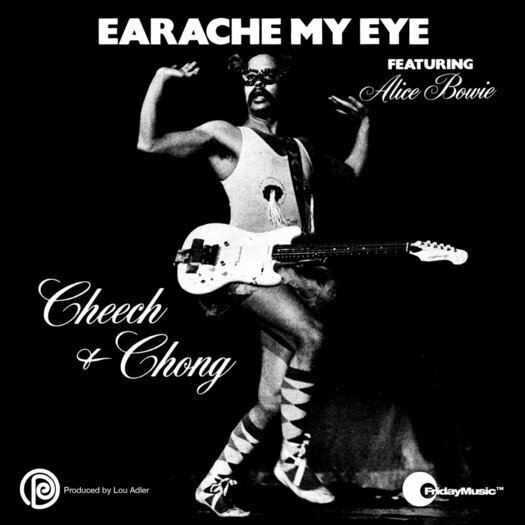 Cheech and Chong's Earache My Eye featuring Alice Bowie. “Earache My Eye” b/w "Turn That Thing Down.” Pressed on marijuana green vinyl. It's just like the single that was released in the 1970s, but it's green vinyl. It's a collectible so it's going into storage with my Nice Dreams storyboards and my other assorted Cheech and Chong treasures. This is a really funny interview with Cheech and Chong. Stoner comedy duo Cheech Marin and Tommy Chong demonstrate the long-term effects of marijuana use in these Mandatory 420 Drug Tests! Cheech and Chong have been smoking weed consistently since the 1970s, man. They're even starred in some of the most successful stoner comedies of all time - "Up in Smoke," "Cheech and Chong's Nice Dreams" and on and on. So who better to gather on 4/20 and test some of the most famous stereotypes about pot? - The Memory Test: Can Cheech and Chong remember facts about their own movies? - The Munchies Test: Will the guys go for Cheetos or veggies? - The Hackysack Test: Do the guys want to get in on a hack? And much, much more. 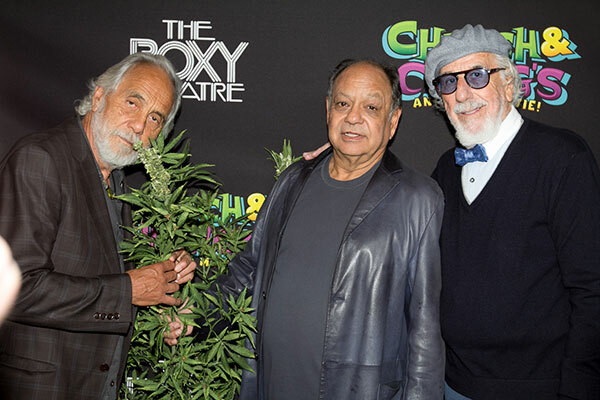 West Hollywood, CA - April 17th, 2013 – The Grammy Award-winning comedy duo Richard "Cheech" Marin and Tommy Chong were joined by Lou Adler, Alonzo Bodden, Hal Sparks, and Ron Jeremy at the world-famous ROXY Theatre on the Sunset Strip to celebrate the release of of their latest movie. Livestream Event 1:00 PM PT/4:00 PM ET As 4:20 approaches, fans will get to check out select film clips as they interact with the comedy duo! Cheech and Chong's Animated Movie! is available for pre-order now. Cheech and Chong's Animated Movie! Musical Soundtrack Album was released last week. The final list of advanced screening locations for Cheech and Chong's Animated Movie! has been posted. Tickets can be purchased and additional locations are listed here. 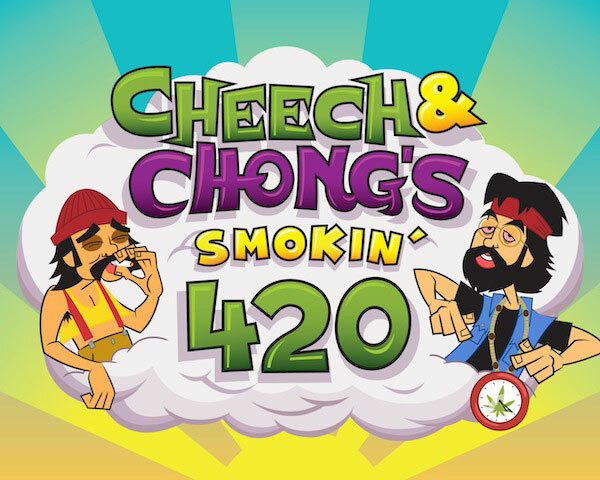 NEW YORK, April 19, 2013 /PRNewswire/ -- Sirius XM Radio (SIRI) announced today that iconic, Grammy®-Award-winning comedy duo Cheech & Chong will launch their own limited-run channel, "Cheech & Chong Radio," for the weekend starting April 20, 2013. The celebration of their hilarious career, featuring their classic comedy albums and more, will take over Raw Dog Comedy that weekend and continue as a nightly special through the following week, leading up to "SiriusXM's Town Hall with Cheech and Chong," moderated by Artie Lange, a sit down for an intimate Q&A session with an audience of SiriusXM listeners, as part of the SiriusXM "Town Hall" series. "SiriusXM's Town Hall with Cheech & Chong" will air on the limited-run "Cheech and Chong Radio" channel 99 on Thursday, April 25 at 2:00 pm and 9:00 pm ET. Moderated by Lange, the "Town Hall" special will feature Richard "Cheech" Marin and Tommy Chong answering questions from the studio audience about the ups and downs of their lifelong partnership, their popular albums and songs, the Cheech and Chong Animated Movie and much more. "Cheech and Chong are not only one of the top legendary comedy teams of our time, but also created a completely unique sound that broke barriers, challenged the norm and most of all, made us laugh," said Scott Greenstein, President and Chief Content Officer, SiriusXM. "Now their legion of fans will get a chance to hear from them directly about their comedy and careers. The 'SiriusXM Town Hall with Cheech and Chong' will be a fitting grand finale to 'Cheech & Chong Radio.'" The limited-run "Cheech & Chong Radio" will launch on Saturday, April 20 at midnight ET via satellite on Raw Dog Comedy channel 99, as well as via the SiriusXM Internet Radio App for smartphones and other connected devices online at siriusxm.com. "Cheech & Chong Radio" will feature interviews and excerpts from the duo's classic comedy albums including Dave, Sister Mary Elephant, Basketball Jones and Born In East L.A. It will also include The Story of Cheech & Chong, SiriusXM's Sonny Fox's two-hour retrospective interview with the comedians and a vintage, rarely-heard interview by SiriusXM's Ron Bennington. For a full schedule and rebroadcast times, please visit www.siriusxm.com/townhall. The special is part of SiriusXM's "Town Hall" series, intimate gatherings with iconic musicians, entertainers and figures and a studio audience of SiriusXM listeners. Previous "SiriusXM Town Hall" specials have featured Bruce Springsteen, Willie Nelson, Billy Crystal, Tom Petty, Tony Bennett, Quentin Tarantino, Carol Burnett, Taylor Swift, Aerosmith, Coldplay, Ringo Starr, Roger Waters, Juanes, Mel Brooks, Crosby, Stills and Nash and the surviving members of Nirvana. Cheech & Chong defined an era with their irreverent, satirical, counter-culture, no-holds-barred comedy routines. Their success began on the stand-up comedy circuit leading to nine hit comedy albums and eight hit films, breaking box office records, garnering multiple Grammy nominations and mesmerizing fans. The comedy duo has been nominated for four Grammy Awards, winning the Grammy Award for Best Comedy Album with 1973's Los Cochinos. They transitioned to film in 1978 with Up In Smoke, the highest grossing comedy of the year. Cheech and Chong co-wrote and starred in a total of eight feature films together, all directed by Chong. They have recently announced their latest tour. Artie Lange is the host of The Artie Lange Show on SiriusXM. Lange is best known for his decade on The Howard Stern Show and his successful stand-up comedy career. He co-wrote, produced and starred in the film Beer League and his first book, Too Fat To Fish, debuted at #1 on the New York Times bestseller list. 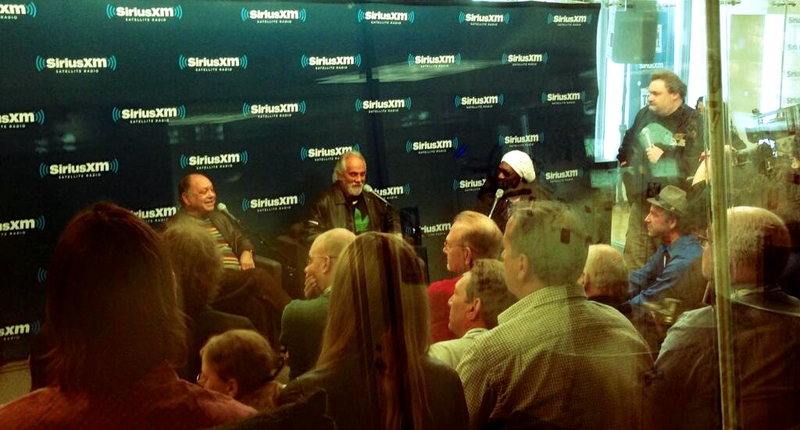 SiriusXM listeners will have the chance to attend "SiriusXM's Town Hall with Cheech & Chong" on April 25. Listen to Raw Dog Radio or visit www.siriusxm.com/townhall for Official Rules and details. SiriusXM listeners are also invited to submit a question for Cheech & Chong on Twitter by Tweeting @SiriusXM and using the hashtag #SXMTownHall or posting a question on SiriusXM's Facebook page. After the broadcast, "SiriusXM's Town Hall with Cheech & Chong" will be available on SiriusXM On Demand for subscribers listening via the SiriusXM Internet Radio App for smartphones and other mobile devices or online at siriusxm.com. Visit www.siriusxm.com/ondemand for more information on SiriusXM On Demand. For more information on SiriusXM, please visit www.siriusxm.com. About Sirius XM Radio Sirius XM Radio Inc. is the world's largest radio broadcaster measured by revenue and has 24 million subscribers. SiriusXM creates and broadcasts commercial-free music; premier sports talk and live events; comedy; news; exclusive talk and entertainment; and the most comprehensive Latin music, sports and talk programming in radio. SiriusXM is available in vehicles from every major car company in the U.S., from retailers nationwide, and online at siriusxm.com. Last night, Cheech and Chong's Animated Movie! premiered at The Roxy. The premiere was attended by Cheech Marin, Tommy Chong, Horatio Sanz, Tommy Davidson, Marisa Saks, Lou Adler, Nic Adler, Cisco Adler, Alonzo Bodden, Lance Broadway, Ron Jeremy and more. The coolest attendee was June Fairchild (Ajax Lady). She's awesome. You can see her photos on Wire. As previously reported, Zack Galifiniakis, B-Real, Kid Cudi, Willie Nelson, Whoopi, George Lopez, Wiz Khalifa and Bill Maher are in the animated video for the new Cheech and Chong song WEed are the World. The song is, of course, a spoof on the 80s classic We are the World and is off the soundtrack for Cheech and Chong's Animated Movie! Red Bank, NJ — The hilarious stoner comedy of the original duo Cheech & Chong is back in full effect with their first tour in 25 years! Tickets are on sale now at CountBasieTheatre.org and by phone at 732-842-9000. Prices: $88, $68, $48, $38. Click here for more details. With nine albums released from 1972 through 1985, Cheech and Chong were nominated for four Grammy Awards, winning the Grammy Award for Best Comedy Album with their third album, Los Cochinos, released in 1973. Big Bambu, their second album, was the biggest selling comedy record of all time in 1972 and remained so for many years. Their stunningly successful comedy streak transitioned to film in 1978 with their first movie, “Up In Smoke,” the highest grossing comedy of 1978, topping $100 million at the box office. Cheech and Chong co-wrote and starred in a total of eight feature films together, all directed by Chong. 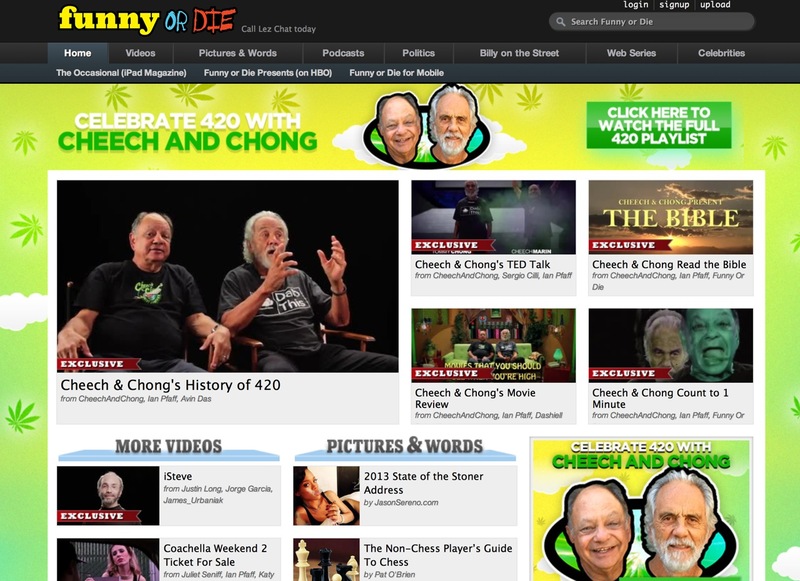 This week, Cheech and Chong are doing a major media (tv, radio, newspaper) in New York City. They are promoting Cheech and Chong's Animated Movie! which will be released next Tuesday. 11AM ET. Reddit AMA: Tommy and Cheech rally the r/trees community with a wake and bake AMAA! 12PM ET. Twitter Q&A: Prepare your #CC420 hashtags as the Q&A continues on twitter and make sure you follow @Cheechandchong! 1PM ET. Facebook Q&A: We're going cutting edge with our 1.6m facebook fans by trying out Facebook's new "Respond" feature! "Like" us to get in on the "respond" action. "Poke"
2PM ET. Google Hangout: Fans will get to chat screen to screen with Cheech and Tommy as they "Prepare" for their Livestream. Join in the fun on Google+ or on YouTube. 4PM ET. Livestream: 40 Minutes of fan interaction and screening selected clips from the movie as Cheech and Chong welcome 4:20 on 4/20! SiriusXM wants to give you and a guest the chance to attend an exclusive “Town Hall” event with Cheech and Chong, at SiriusXM’s New York City studios in celebration of the release of the Cheech & Chong’s Animated Movie, in theatres April 18th! To qualify, we're asking SiriusXM subscribers to submit their most creative questions about Cheech and Chong – their lives and careers – for a chance to ask the question in person at the “Town Hall” event on Monday, April 25. The winners and their guests will also have the opportunity to attend an exclusive meet-and-greet at the SiriusXM Studios following the event, where they will have their picture taken with Cheech and Chong. Updated List of In Theater Screenings of Cheech and Chong's Animated Movie! The final list of advanced screening locations for Cheech and Chong's Animated Movie! has been posted. Tickets can be purchased and additional locations are listed here. Cheech and Chong participated in a Q & A session at the Los Angeles Film School this past weekend. They were promoting their upcoming film, Cheech and Chong's Animated Movie! which is available for pre-order now. 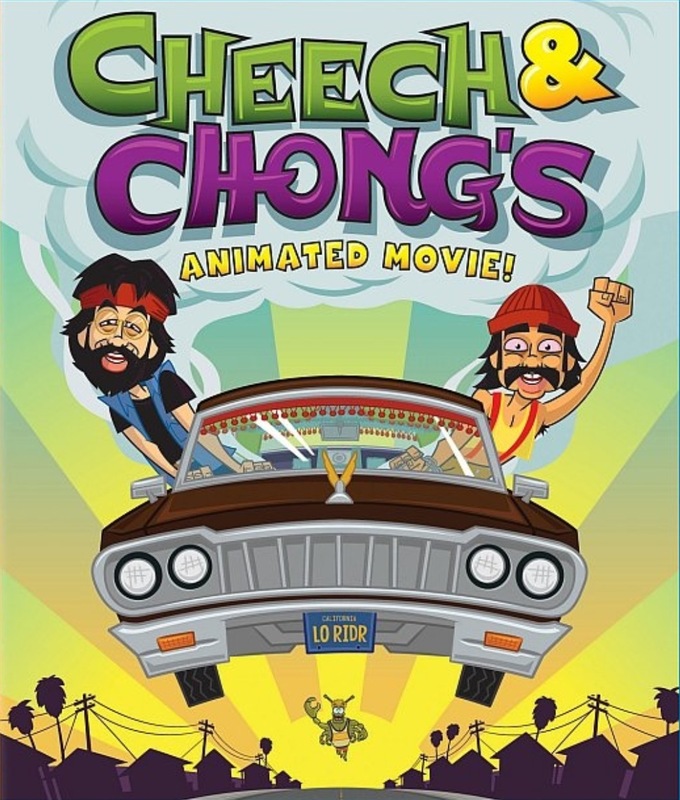 The Cheech and Chong's Animated Movie! Musical Soundtrack Album was released this past Tuesday. They started speaking again and got back together because of Mr Weedmaster aka the former owner of Cheech and Chong Dot Com. Tommy had him repeatedly email Cheech saying they could make a lot of money if they got back together and that bands like the Rolling Stones were making a fortune touring. They did indeed rehearse before their first show at the Comedy Store. The first time they rehearsed they got in a huge argument over the same ole control issues that broke them up originally. It took repeated meetings to get them to function with each other. The beer list has been posted for next weekend's Paste Untapped Festival in Fort Worth, TX. Rahr & Sons Brewing will have two Cheech and Chong beers on-hand. They haven't revealed the specifics and there isn't any information on their web site. Should we speculate that it could be hemp-flavored? Cheech Marin just completed work on a pilot for TBS titled Do It Yourself. They are hoping to be picked up in the fall. The plot: Laid-off math teacher forced to get a blue collar job, a big box home supply store. His co-workers are Bill Engvall, Ryan McPartlin and Melora Hardin. Cheech will play Perez, an offbeat employee who spends his days making keys and his nights preparing for the apocalypse. Cheech & Chong, WAR, Tower of Power. Up in Smoke Tour Coming to Woodstock. On August 15th, the Cheech and Chong - WAR - Tower of Power Up in Smoke tour is coming to Bethel Woods in Bethel, NY. This is the Woodstock Anniversary weekend. How cool is that? It's the 44-year anniversary of the 1969 Woodstock Music & Art Fair, which took place on the grounds at Bethel Woods Center for the Arts. Tickets go on sale at 11 a.m. April 20 (that's 4/20). They'll be available via the ticket link above. The iconic comedy duo CHEECH & CHONG defined an era with their hilariously irreverent, satirical and counter-culture routines. Highlights for Grammy-winning Richard “Cheech” Marin and Tommy Chong include 9 hit comedy albums and shattering record sales, along with 8 hit feature films which they co-wrote and starred in. All films were directed by Chong. Their first film, Up In Smoke, the highest grossing comedy of 1978, topped $100 million at the box office. In 2008, the duo made history when comedy partners Cheech Marin and Tommy Chong announced their first reunion tour in over 25 years, selling out shows from coast to coast. This April, CHEECH & CHONG’s Animated Movie will come out theatrically and on DVD, showcasing the legendary toker jokers in animation as they bring to life their outrageous routines and laugh-out-loud lines from their historic albums. According to Tommy Chong, this year’s tour will celebrate history making of a different kind. “The ‘Up in Smoke’ gig with WAR and TOWER OF POWER will be a celebration of the legalization of our right to party all night long,” he says. Multi-platinum-selling WAR, the original street band, has been sharing its timeless music and message of brotherhood and harmony for over 4 decades before millions across the globe. Hits include “The World Is A Ghetto,” “Why Can’t We Be Friends,” “The Cisco Kid,” and “Low Rider.” WAR performs more than 150 shows a year. The phenomenal group and has been honored twice by its hometown of Los Angeles for making positive contributions to the betterment of the community with its powerful music. “Bring plenty of water; the stage is going sizzling hot as it’s going up in smoke. TOWER OF POWER and CHEECH & CHONG’s red hot comedy and California funk. To share the stage with them is a dream come true. This is a family reunion. Lots of jamming together and surprises in store. What goes around comes around. They introduced “Low Rider” to the movie culture. It was our first song in a movie. We are all joining together to take the fans up in smoke. It’s going to be the high of a lifetime,” says WAR’s Lonnie Jordan. Celebrating more than 40 years of success and original "Oakland style" soul music, TOWER OF POWER’s hits include "You're Still A Young Man,” "So Very Hard To Go,” "Soul With a Capital S,” "Soul Vaccination,” "What Is Hip?” and "Don't Change Horses (In The Middle Of A Stream)." Known for its world famous horns, TOWER OF POWER’s sound is in a class of its own. The group has teamed with some of music’s biggest names including Elton John, Sam Moore, Santana, Bonnie Raitt, Dionne Warwick, Aaron Neville, Aerosmith, Michael Bolton, Rod Stewart and more. The internationally acclaimed act has released over 20 albums and continues to generate packed concert crowds and rave reviews from all over the world. Bandleader Emilio Castillo says the upcoming tour will be one for the record books, "WAR and TOWER OF POWER is always a great show but add CHEECH & CHONG to the mix and it's gonna be a smokin' good time." 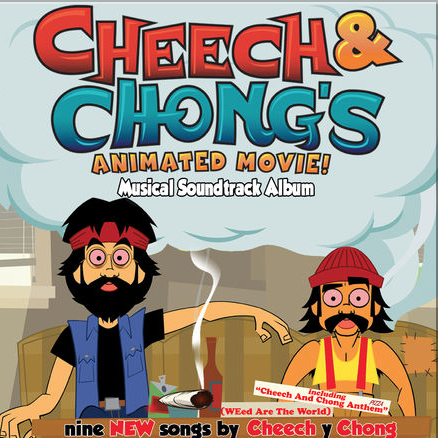 The Cheech and Chong's Animated Movie! Musical Soundtrack Album is available now from iTunes. Here is the current list of movie theaters that will be screening Cheech and Chong's Animated Movie!We'll keep adding to this list as we receive more locations.